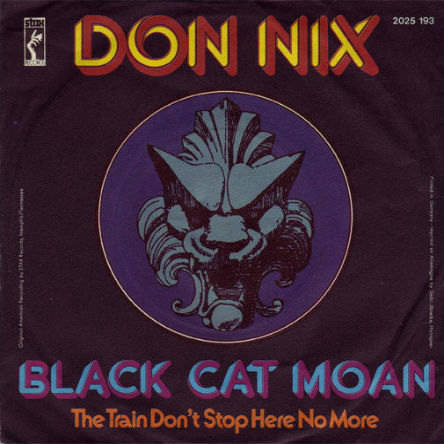 Back when I did the daily commute to Baltimore and my car radio had better reception, I used to enjoy a great community radio station that shares programming with its owner, WXPN, the Philadelphia radio station known for its “World Cafe” program, and yet operates out of a high school from just across the Chesapeake Bay. You would think a signal of 17,500 watts would reach folks in Silver Spring, but sadly that’s not the case. I remember phoning the late, great Charlie Coleman from the road, after I’d stumbled upon Worton, Maryland’s WKHS FM, to tell him how much I enjoyed his show, and Charlie asking me right off the bat if I was a fan of “country rock” — the first time I had ever stopped to consider that term. The mid-’60s L.A. band Hearts and Flowers featured songwriter Larry Murray and future Burrito Brother and Eagles charter member Bernie Leadon. 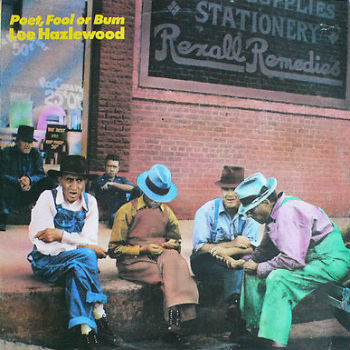 This group, all but forgotten today, exemplified the talented if commercially unsuccessful country-rock pioneers. 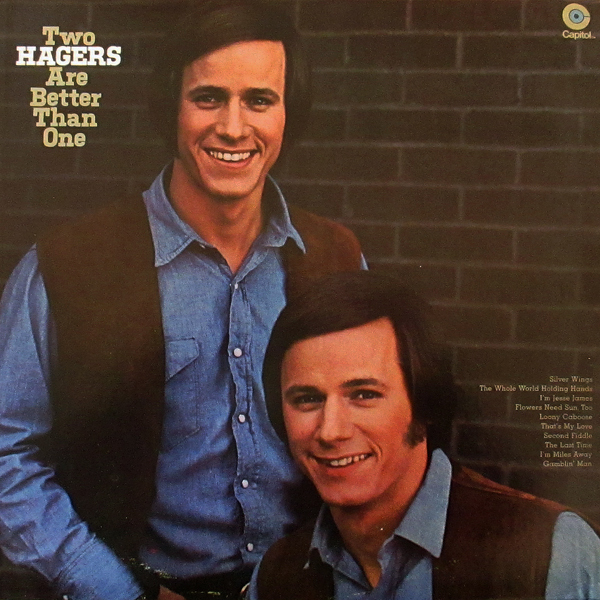 Their harmonies were far more bluegrass than folk, not diluted in any way to grab a pop audience. 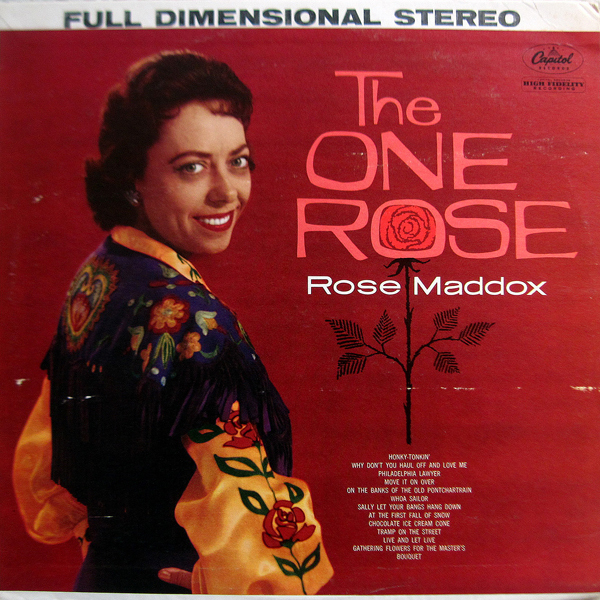 The use of mandolin on a pop record was unusual, as was the use of autoharp, the push-button instrument played by Mother Maybelle Carter. 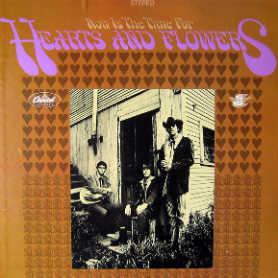 Aside from the Hearts & Flowers, only The Lovin’ Spoonful‘s John Sebastian used one. 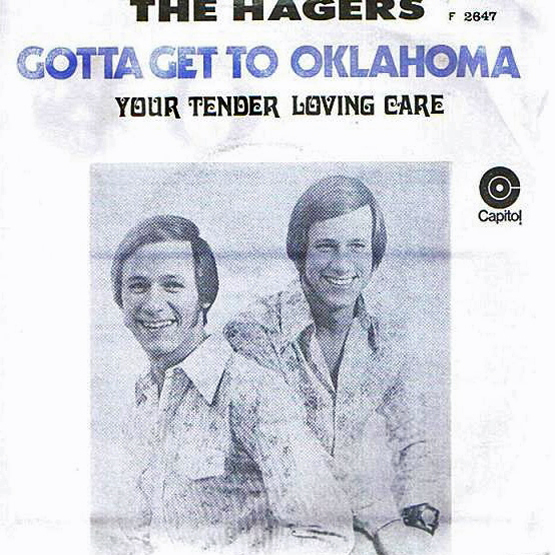 Their producer Nik Venet, who’d worked with Lou Rawls, Bobby Darin, and The Beach Boys, hoped the group could fuse country music with politically liberal themes. “Larry Murray was really a country boy,” Venet recalls. 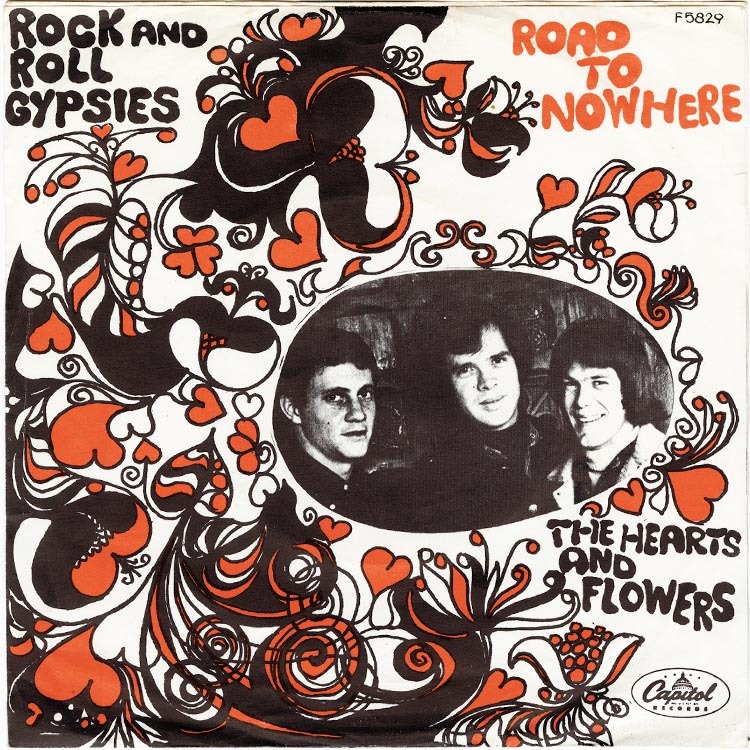 “He wanted to be a country artist-writer.” “Rock and Roll Gypsies,” from their 1967 debut album, Now Is the Time for Hearts and Flowers, sold well regionally but didn’t break out nationally. The chaotic sound effects at the song’s end, says Venet, were real. Armed with a portable monaural recorder, Venet went up to Sunset Boulevard and recorded the sounds of an actual 1966 hippies-versus-LAPD riot near a rock club called Pandora’s Box. 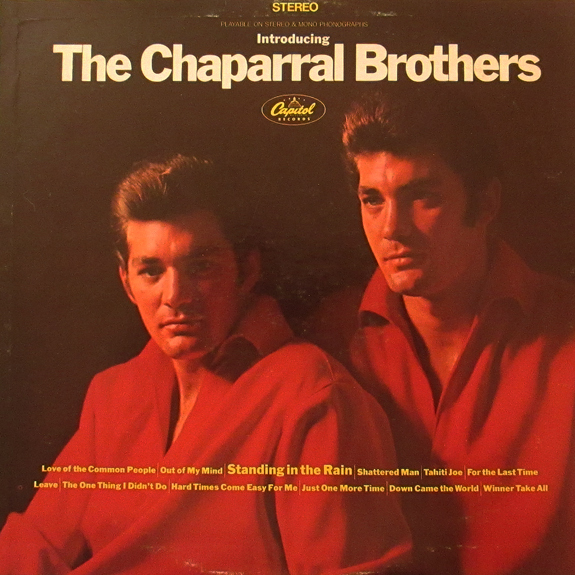 The group made two albums for Capitol before disbanding. “Rock & Roll Gyspies”. This is a hit! This is a hit! This is a hit! The song, although written some time ago, is strangely applicable to the happenings on the many ‘Sunset Strips’ across the nation today. On the ending repeat of the song, actual crowd sounds are used from recent Sunset Strip riots in Los Angeles. 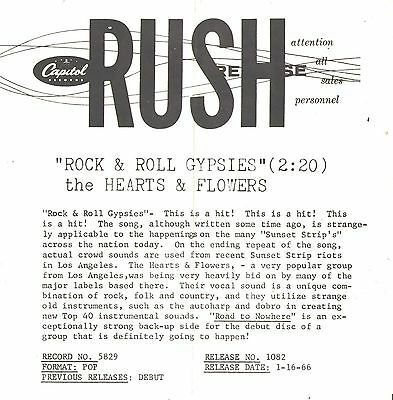 The Hearts & Flowers, a very popular group from Los Angeles, was being very heavily bid on by many of the major labels based there. 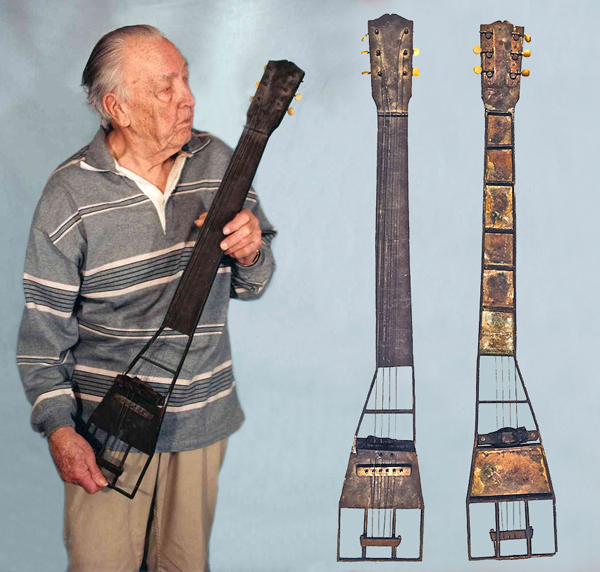 Their vocal sound is a unique combination of rock, folk and country, and they utilize strange old instruments, such as the autoharp and dobro in creating new Top 40 instrumental sounds. ‘Road to Nowhere’ is an exceptionally strong back-up side for the debut disc of a group that is definitely going to happen! 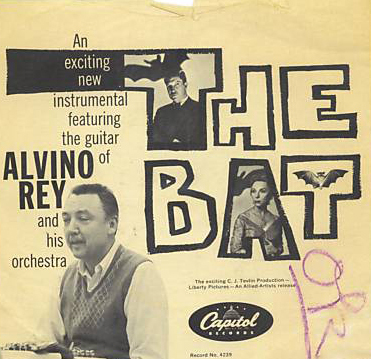 Historical note: Release Date indicated above (January 16, 1966) must be a typo if the song was recorded, as Rhino asserts, near the end of December in 1966. 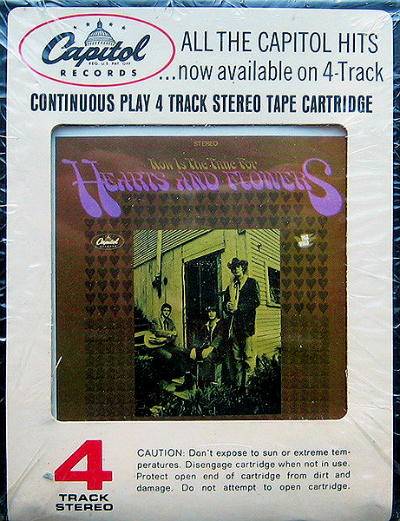 Remember 4 Track Stereo Tape Cartridges? 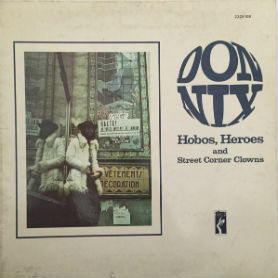 I discovered another musical coincidence recently — two albums with similarly-constructed titles released the same year by two hip and influential songwriter-producer-arrangers: Poet, Fool or Bum by Lee Hazlewood -vs.- Hobos, Heroes & Street Corner Clowns by Don Nix, both from 1973. 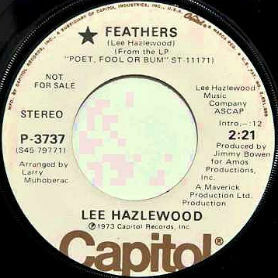 On his one and only album for Capitol, Hazlewood surprisingly (or not) turns over production reins to Jimmy Bowen (vinyl copies would later fetch decent money). 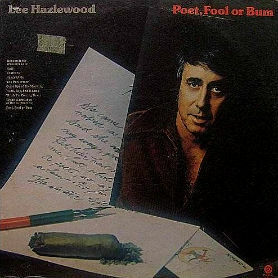 Hazlewood would then find himself ejected from the cover of the UK edition of Poet, Fool or Bum – could it have been the prospect of having to market Hazlewood without his trademark mustache? 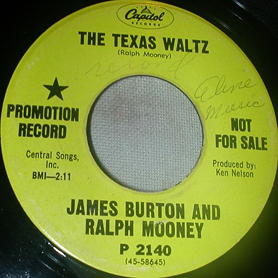 Hazlewood and Tim Buckley, it bears noting, would be the first among many artists to record “Martha” off the debut album by Tom Waits. Who are/were The Surf Symphony — and why just the one Capitol 45? Wait! 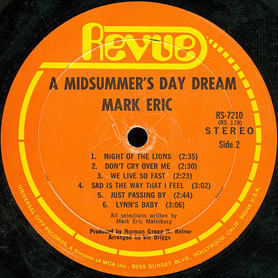 As it turns out, the joke’s on us: This is a “supercharged” instrumental version of the song “Night of the Lions” from Mark Eric‘s A Midsummer’s Day Dream. 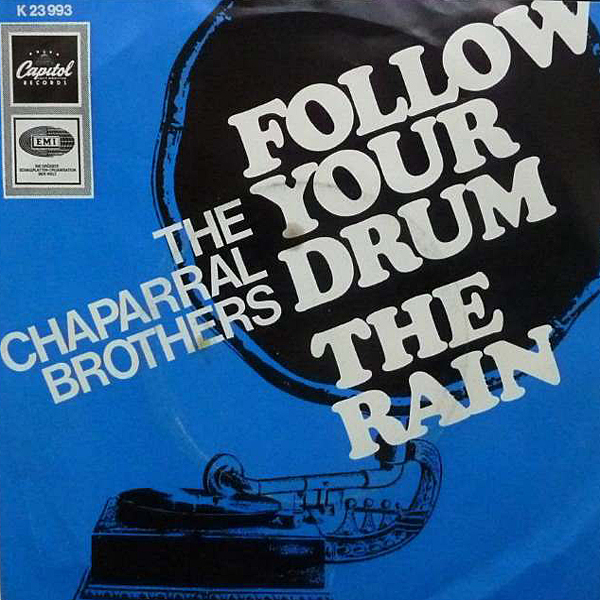 released in 1969. 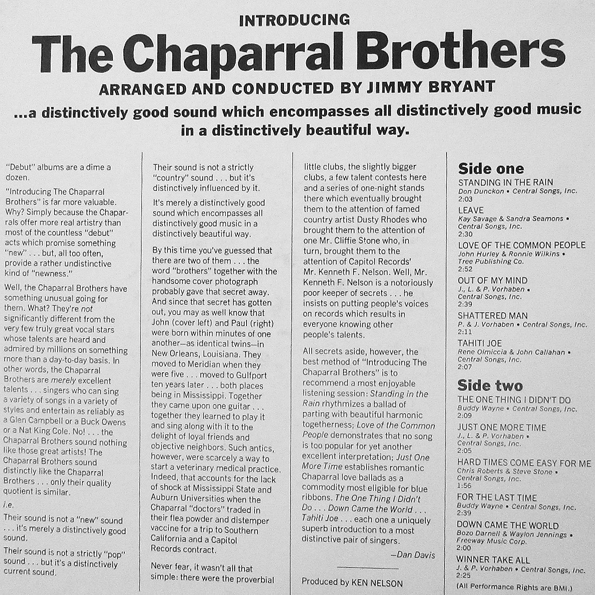 Imagine your first album is coming out – on a major label – so you release your first 45 … under a completely different name! It actually happened, but why — was it a bid to stir up controversy? Much more intriguing, however, is the flip side “That Bluebird of Summer,” a composition that embodies Brian Wilson’s distinctive ‘West Coast’ musical sensibility to an uncanny degree – as if it were some so well long lost track from Smile (actually, more like Friends). 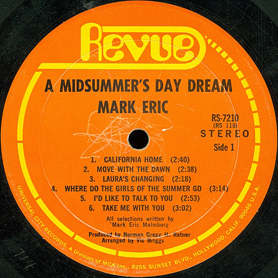 True or False: “That Bluebird of Summer” is a non-LP B-side. This Surf Symphony B-side is included on 2013’s Book a Trip 2: More Psych Pop Sounds of Capitol Records — wish I had the liner notes to refer to. 45Cat identifies Mike Rubini & Vic Briggs as producers, with Jan Rubini & Viv Briggs tagged as arrangers. Discogs.com, meanwhile, indicates Jan Rubini to be the conductor. 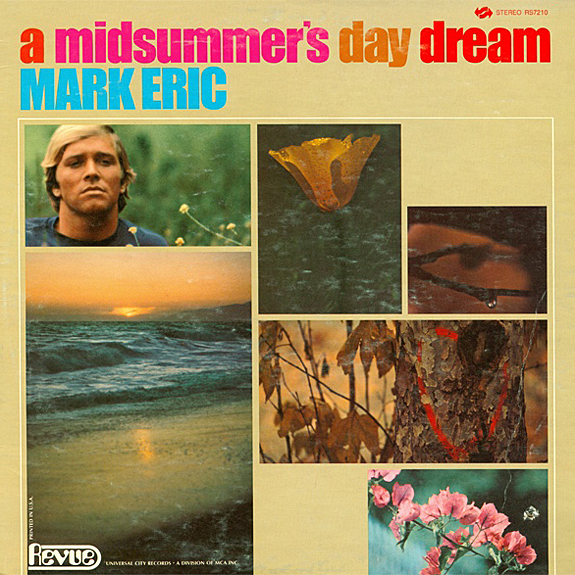 One other 45 from that album would be released – “Where Do the Girls of the Summer Go” b/w “California Home” – however, it would be issued under the name ‘Mark Eric‘! 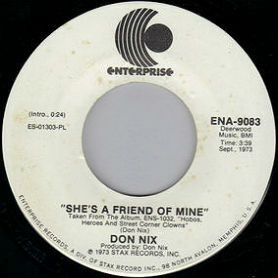 This one album and two 45s would be Mark Eric Malmborg’s entire recorded output. 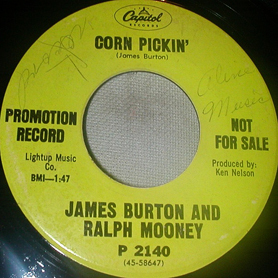 I once played a sweet little instrumental by James Burton and Ralph Mooney on an all-truck-driving radio show, even though it’s not actually a “trucker tune” — and yet nobody called me out on it, because the song – “Corn Pickin‘ – fit like a glove. Later when I “back-announced” the set over the air, I re-named the song “Corn Pickin’ and Rig Ridin'” – to my great relief, the switchboard at WKHS did not light up in anger. This was in 2004. I happened to be checking the Washington Post website on March 23, 2011 when I was stunned to see Ralph Mooney’s name at the top of the home page — as one of the top “trending” stories! As it turned out, Mooney – one of the “chief architects of the Bakersfield sound” – had left us at the age of 82. 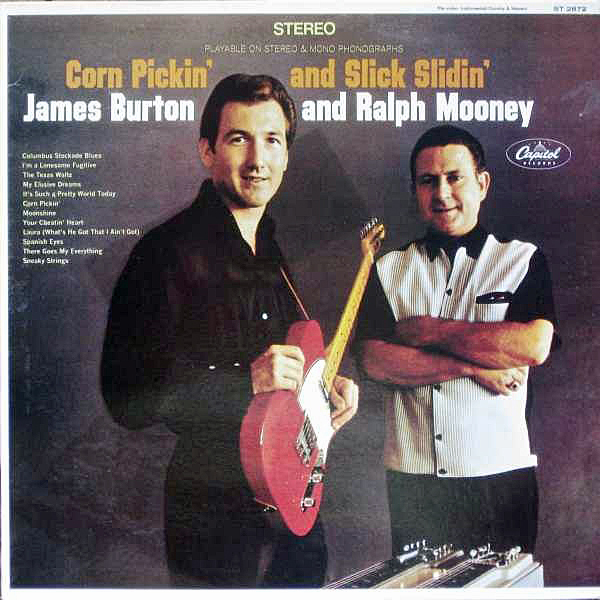 The Post’s Melissa Bell was kind enough to add my Ralph Mooney recommendation to her musical tribute, the aforementioned “Corn Pickin'” from Burton and Mooney’s 1968 LP collaboration, Corn Pickin’ and Slick Slidin’. But then that audio clip disappeared from YouTube and never returned. Until a fortnight ago! 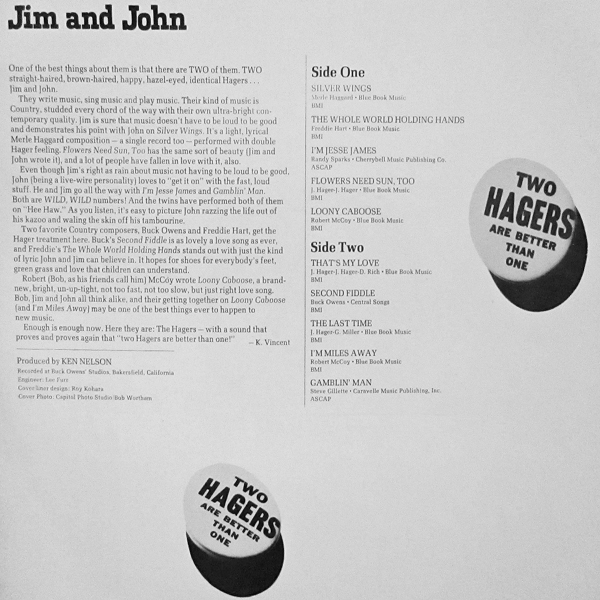 At the time of release, Billboard would give the album a “four-star” review in its February 17, 1968 edition. 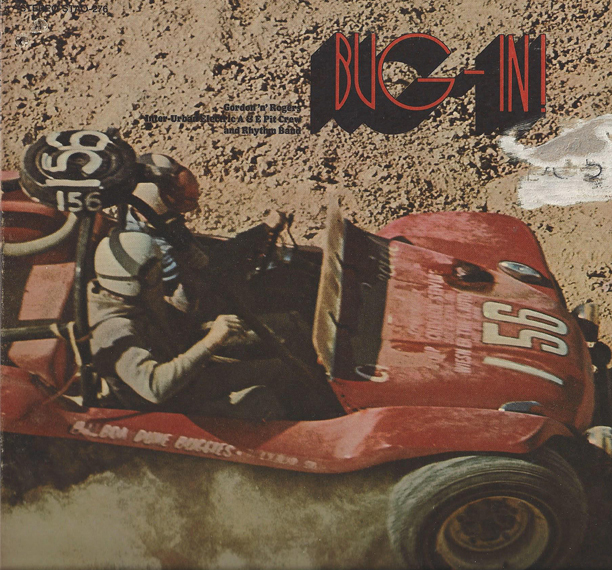 Interesting to see Kelly Gordon and (especially) Shorty Rogers attempt to muscle in on the hot rod scene with a late 60s concept album — contemporaneously titled Bug-In! — that pays musical tribute to the hot rod’s off-road counterpart, the dune buggy. 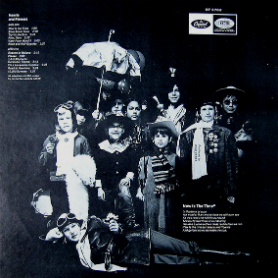 Gordon and Rogers splurge on a gatefold album design packed with photos – but alas, no musician credits. 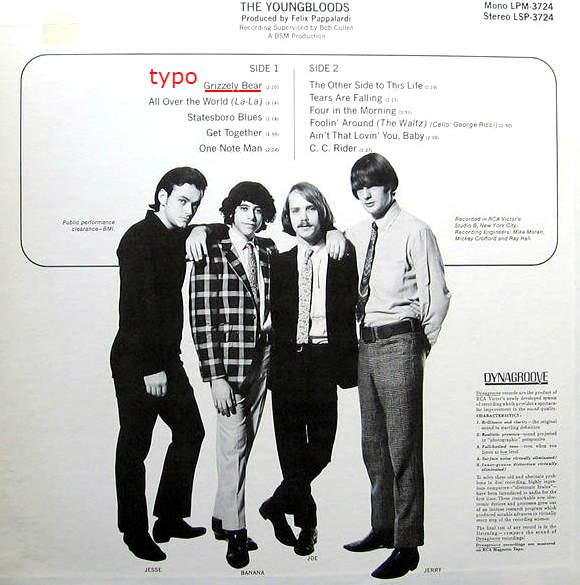 Can only conclude that Los Angeles studio musicians (á la., “Wrecking Crew”) are the unnamed members of Gordon ‘n’ Rogers’ Inter-Urban Electric A & E Pit Crew and Rhythm Band. Silodrome – a website that highlights aspects of our “Gasoline Culture” – reveals the fascinating story behind the Baja Boot: a 450 hp dune buggy built in complete secrecy by top GM automotive engineer, Vic Hickey (in just under 4 weeks) and then raced by Steve McQueen in 1968 and then again in 1969. How did the “King of Cool” (and cinema’s own Cincinnati Kid) fare with the massive 4×4 dune buggy, the ‘Baja Boot’? Click here to learn the hilarious outcomes of both events – more info at Steve McQueen Online. James Glickenhaus would buy Steve McQueen’s renowned dune buggy in 2010 – although ScoutDude would loudly question its authenticity on this blog’s comment section. Sad to discover that the dune buggy is the neglected stepchild of the musical hot rod world, as very little has been written since The Surfaris released “Dune Buggy” in 1964. Other notable songs that celebrate the lowly dune buggy? Zero to 180 wants to know. 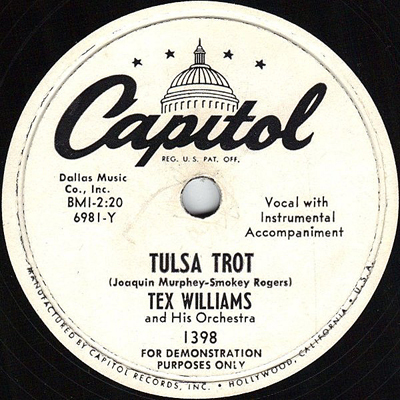 Shorty Rogers (Zero to 180 readers might recall) released a “Tequila” cash-in 45, “Cerveza,” in 1958, using the alter ego, Boots Brown.